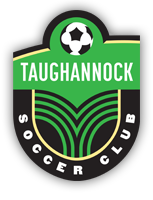 The TSC sponsors a free & popular indoor recreational soccer program for children 4 to 14 years old. The program is held at the Trumansburg Middle School gym on Sunday mornings 11-2, starting in January, and continuing into late March. This is an informal program designed to introduce soccer to new players, improve technique for travel players, teach basic soccer skills at age-appropriate levels, and to have fun. There are no established teams; each week players in a given age group are randomly divided into groups to play a few soccer activities, learn some new skills, and then participate in 2 to 3 concurrent small-sided games. Games are “short-sided” depending on number of participants, which maximizes the involvement of every player on the court and the number of touches any one player has on the ball. Coaching is conducted by qualified travel coaches who use training that is appropriate for these age groups. The emphasis of this program is on fun. “Success” is based on a player’s desire to return year after year. All players are required to wear indoor training shoes (or sneakers appropriate for the gym), and shin guards. Please leave outdoor shoes/boots in the foyer, to keep our schools clean. In general, all sessions of the our Winter Indoor Recreational Soccer program will be held and will be held and only canceled if coaches can not attend. All correspondence will be done through the Club’s email list serve. Some or all of the coaches will show up every Sunday, regardless of the weather, and if you come, you will either be informed that the session is canceled, or, if enough die-hard players show up, that the session will be held.